Newly edited and re-posted Owner's Comments for an ancient obol struck by Lepidus, part of The Roman Empire, an NGC Ancients Custom Set. Participating in the Roman Empire’s genesis were many monumental figures of ancient history: Julius Caesar, his ally-turned-assassin Brutus, Pompey the Great, the famous lovers Marc Antony and Cleopatra, Octavian (a.k.a. Augustus), and then there is…Marcus Aemilius Lepidus (88? - 12? BC). If the name isn’t familiar, no wonder - Lepidus turned out the prototypical persona non grata of Roman politics. Borrowing sic erat scriptum the tagline of a late, modern-day comedian, he didn't get no respect. Lepidus, an early supporter of Julius Caesar, held the post of praetor in 49 BC, and watched over Rome while his mentor defeated Pompey at Pharsalus. On March 14, 44 BC, while Lepidus served as Caesar’s magister equitum (Master of the Horse), he warned his leader about an imminent murder plot. Lepidus’ arguments proved unpersuasive, and the next day Caesar fell at the hands of a mob. (If Lepidus had been a more effective communicator, history might have turned out vastly different!) Afterwards, Lepidus had an opportunity to redeem himself by avenging Caesar’s murder and punishing the known perpetrators. Instead, Lepidus stayed his hand, following Marc Antony’s advice. Furthermore, Lepidus went along with Antony's opposition of Caesar's legally named heir, Octavian. However, the power grab by Lepidus and Antony failed, and the duo retreated to Gaul. 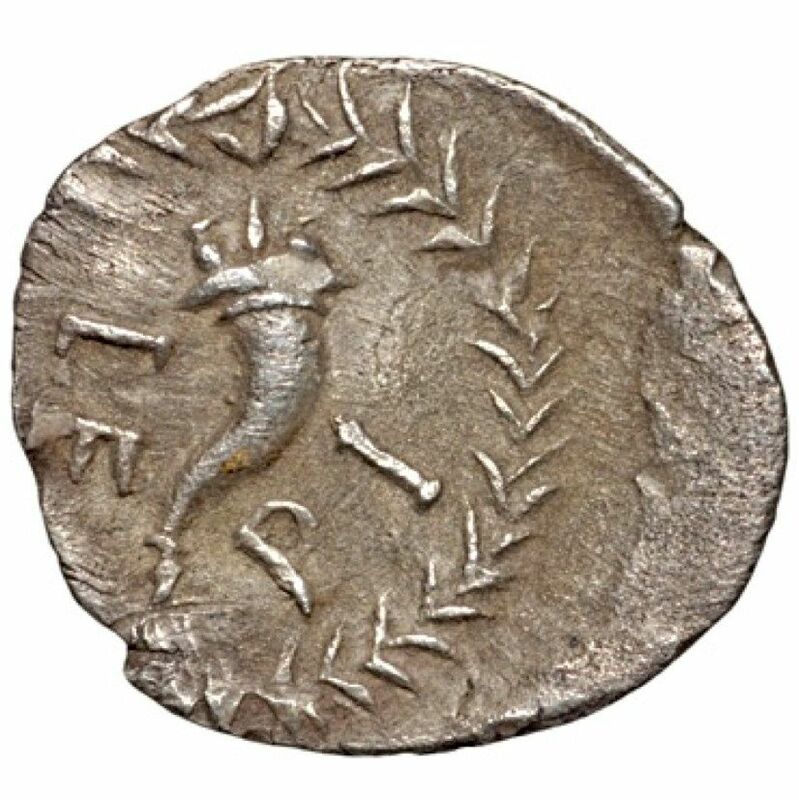 It was in Gaul during this period (44 to 42 BC) that Lepidus struck this silver obol. It is rare, and one of only perhaps two issues he struck there. For the obverse, Lepidus portrayed Apollo, a traditional choice as opposed to the bold, new trend of self-portraiture. The verso presents a cornucopia encircled by a wreath, promising future prosperity. Lepidus’ own fortunes improved when Octavian convinced him and Antony to form together as Triumvirs. They divided Rome’s demesnes amongst themselves: Lepidus was assigned Spain and shared Gaul with Antony, junior partner Octavian controlled North Africa, and all three shared responsibility over Italy. The Triumvirs needed to re-conquer the rest: Sicily under Sextus Pompey’s control, and the eastern territories dominated by Brutus and Cassius. The latter duo fell in 42 BC at the Battle of Philippi. Afterwards, the Triumvirs readjusted their power-sharing. This time, Lepidus - almost expelled by Octavian as a suspected Sextus Pompey sympathizer - was demoted to control over North Africa. Understandably, Lepidus disapproved his reduced role. He strove to improve his lot while jointly campaigning with Octavian against Sextus Pompey's Sicilian forces. Lepidus landed on Sicily, and then proceeded to lead a land assault. He succeeded in regaining control over Sicily, and then, with Octavian still busy battling the enemy's navy at sea, Lepidus announced his intention to keep it. Lepidus’ land grab did not sit well with Octavian, who issued a challenge in response. Consequently, Lepidus’ legions defected en masse, fearing Octavian’s displeasure. The defenseless and humiliated Lepidus had no choice but to beg for Octavian’s mercy. Octavian indeed spared Lepidus’ life. However, Lepidus was required to abdicate all his political powers and titles, except for the largely meaningless post of Pontifex Maximus. Lepidus was expelled to the remote promontory of Mount Circeo, where he spent his remaining years in obscurity, watching Antony’s fall, Octavian's transition to Augustus, and the Republic’s transformation to Empire. Occasionally, Lepidus was allowed to visit Rome on official business. Even then, the humiliation continued; he was required to speak last. Historians traditionally view Lepidus as the Triumvirate’s weakest link, untrustworthy and ineffective. Even Shakespeare disparaged Lepidus, depicting him as a simpleton and a drunkard. Evidently, Lepidus still doesn’t get much respect. 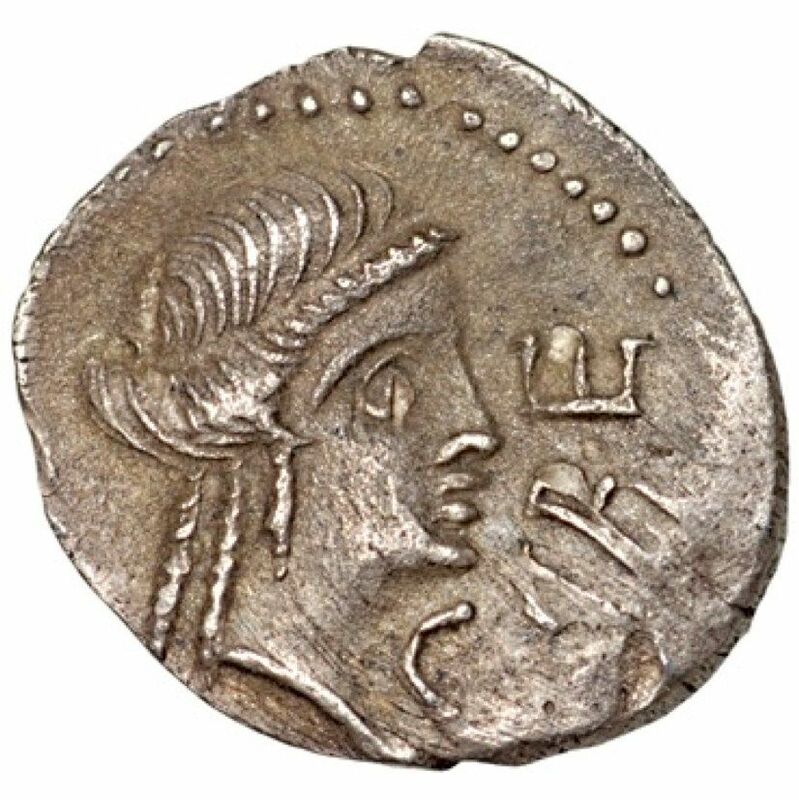 Coin Details: ROMAN IMPERIATORIAL, M. Aemilius Lepidus, as Triumvir(? 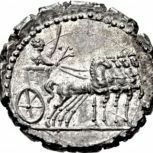 ), AR obol (0.43 g, 10.6 mm), Cabellio (Cavaillon), Gaul, 44-42 BC, NGC Grade: AU, Strike: 4/5, Surface: 3/5, Obverse: Head of Apollo right, CABE before, Reverse: Cornucopia, LE-PI in left and right fields, all within wreath, References: RPC 528; Sear CRI 491. Nice history, very interesting to learn! Teacher Brian, thanks for your comment, I really appreciate the feedback! nice photos of a tiny coin, 1/2 gram? super research, thanks. Thanks for your comment on my research. Indeed this is a very small coin, I found a bit challenging to grab and manipulate in hand (that is, before I sent off to NGC Ancients for encapsulation).